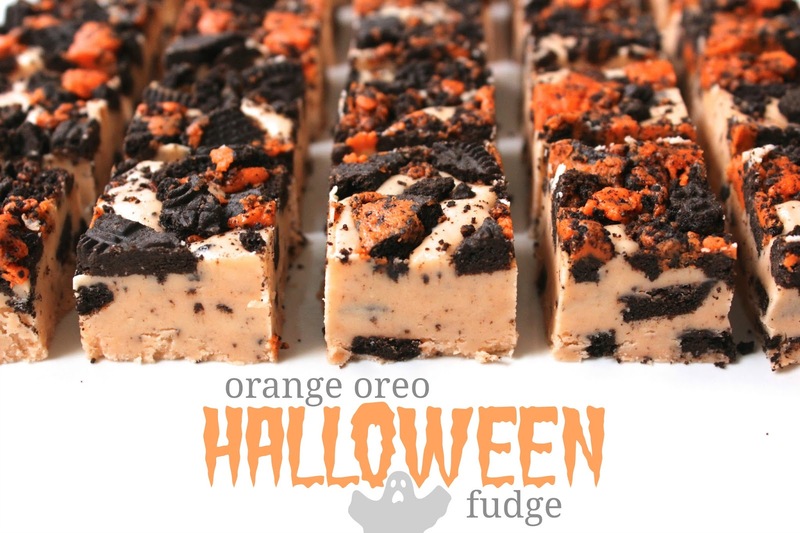 Because after all, there's no such thing as "too much sugar" on the week of Halloween. 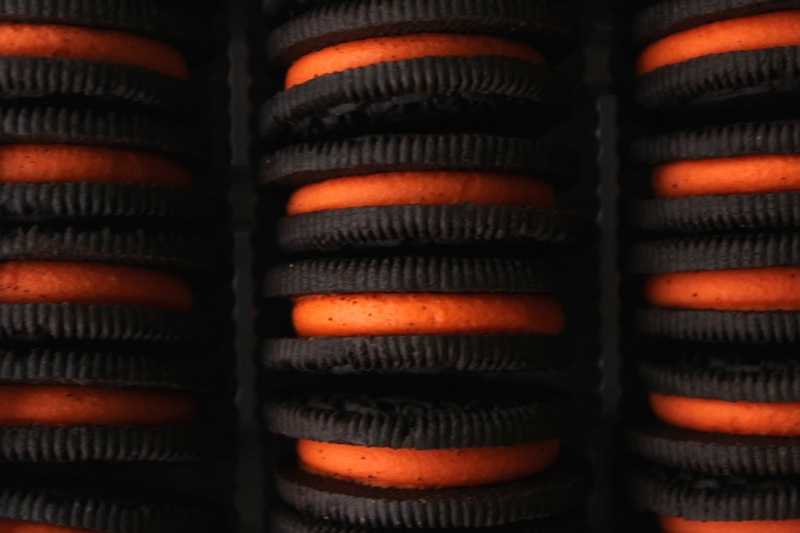 And of course, there's no such thing as Halloween without Orange Oreos. To begin, grease & line an 8x8 inch pan (or cake pan) with parchment paper. 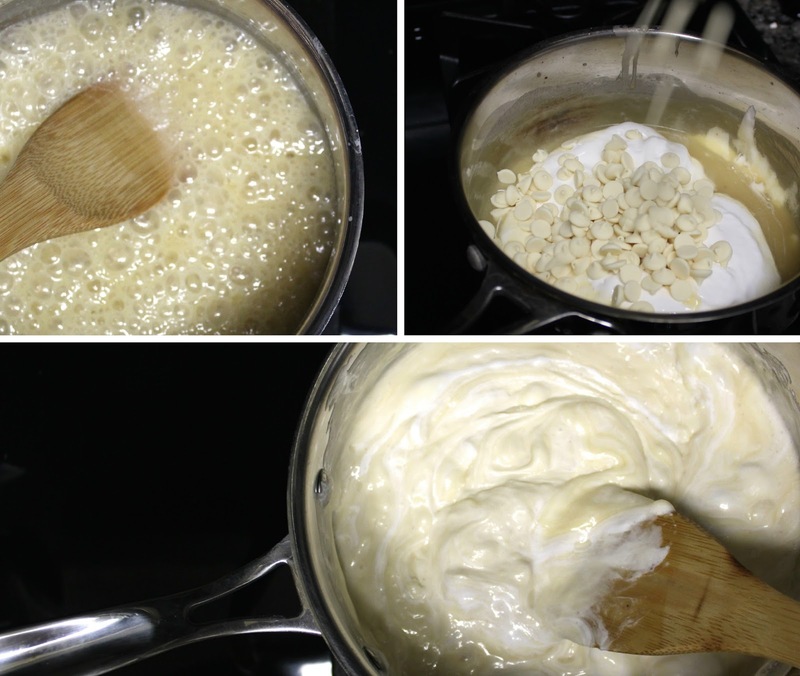 In a saucepan, combine the butter, sugar, and 1/2 a can of evaporated milk on medium-high heat. Stir constantly as the mixture comes to a boil, then continue to cook & stir for 3 minutes. Remove from the heat. of marshmallow fluff. Stir until the chocolate is melted and the mixture is smooth. Finally, fold in 1 and 1/2 cups of the crushed Orange Oreos and a pinch of salt. Pour the fudge into your parchment lined pan, and smooth it out. 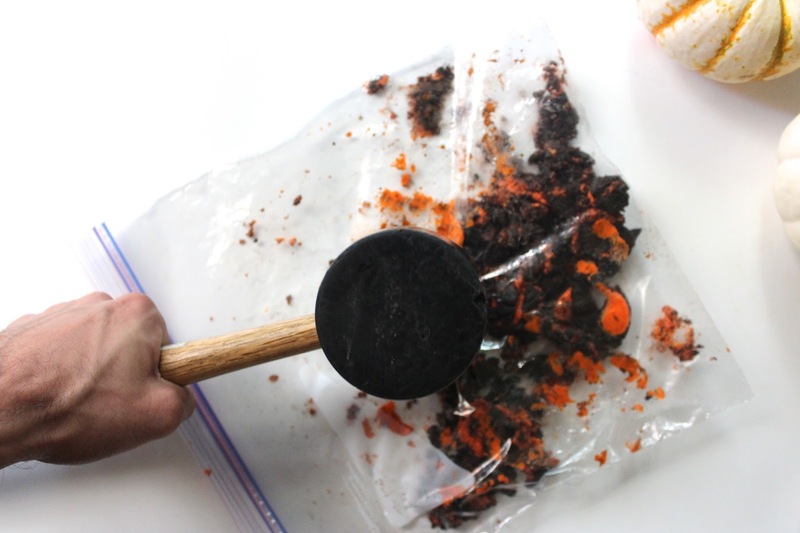 Sprinkle on the remaining 1/2 cup of crushed Orange Oreos, and press them in lightly. Chill the fudge for about an hour, until firm. Then slice and enjoy! Makes about 25-30 small fudge bites. (This recipe is cut in half from the original - which made more than enough for me!